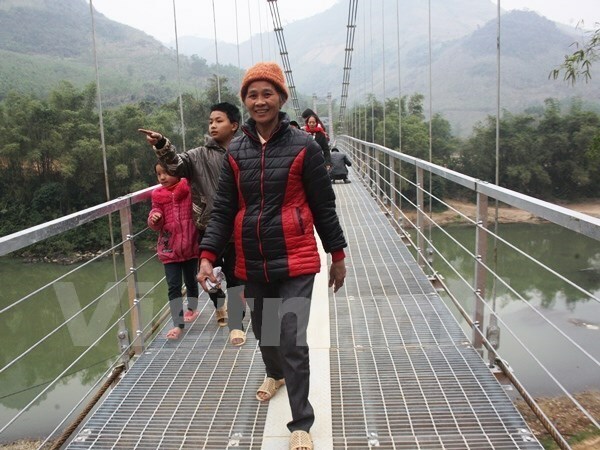 Tay Ninh (VNA) – The southwestern province of Tay Ninh plans to build 18 bridges in remote and border districts to support local ethnic people, an official has said. The province will spend 53 billion VND (2.33 million USD) sourced from the Local Bridge Construction and Road Asset Management (LRAMP) project, approved by the Ministry of Transport in 2016, said Director of the provincial Department of Transport Nguyen Tan Tai. In 2017 – 2018, 10 bridges are expected to be built at a total cost of nearly 20 billion VND (880,000) in the districts of Tan Chau, Chau Thanh, Hoa Thanh, Tan Bien, Ben Cau, Go Dau and Duong Minh Chau. The LRAMP project has total funds of nearly 409 million USD in loans from the World Bank.